Getting a dog. 5 things to consider before getting a dog. If, after considering all these issues, you still want a dog, then the joys of having a canine companion will be limitless. Do you have the time to care for a needy animal? Dogs rely on their human caregivers for everything. From their basic survival needs of having enough food, water and shelter, to their companionship and emotional needs; dogs require a lot of love and attention. How much time do you have to spend with a dog? Will you be away at work for most of the day, leaving your dog alone and restless until you come home? When you are at home, will you have the time to spend an hour or more playing with your dog everyday? Dogs thrive on attention and playfulness, and without it they will become unhappy and make you unhappy too. Dogs often exhibit destructive behavior like breaking things and chewing up your favorite shoes when they feel neglected. Puppies especially need lots of attention and patience while getting through puppy training. Before getting a dog, honestly consider if you have the time and the energy to care for one. Having a dog doesn’t require as much of a commitment as having a child does, but dogs are a commitment nonetheless. Most dogs live between 12 and 15 years, so it is important to think long-term when considering getting a dog. Are you ready and willing to devote ample time and attention to a loving animal for this amount of time in your life? 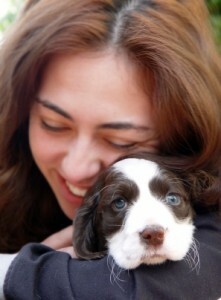 If you are, then you will be rewarded with undying affection and love from your dog. If you are not, you may be better off without one. Now, even if you are ready to make the commitment, and you have the time for a dog, it is important to consider whether you are going to be able to support another living being financially. Dog ownership costs are more than just in dog food, though that is a major expense. It can cost between $200 and $700 per year to feed your dog, depending on the breed. In addition to that, other dog care expenses must be accounted for: you’ll probably want to get your dog a dog-bed and various toys; you’ll need a leash, or some sort of invisible fence device to protect your dog from vehicles and other potential hazards; routine veterinary check-ups are necessary to ensuring your dog’s health and happiness, and you may need to purchase preventative medicine if you live or travel to anywhere where dogs are susceptible to parasites and ticks; also, dogs can get sick, and you may need to provide money for other types of medicine; there are grooming costs, whether you use extra water and heat from your own utilities or you pay to have your dog professionally groomed; and if you choose to travel you may need to put your dog up in a doggy hotel while you are away. All of these expenses add up, and can cost between $700 and $2800 per year depending on your dog-s breed and on your habits. That works out to be between $60 and $230 per month to care for your dog. Many people should be able to make this happen if they truly want to have a dog. In fact, there are lots of people who spend $60 per month just on lattes. If you want a dog and are serious about caring for one long-term, make sure you will also be able to afford that lovely dog for the long-term. There-s no sense getting into a 12 to 15 year commitment if it-s going to put too much of a burden on your finances and make everyone involved suffer. It is very important to consider how much space your dog will need, both in your home and in your surrounding neighborhood. How large is the dog you want? Will it need lots of space to run around and get plenty of exercise? Where you live should be a major consideration when deciding what breed of dog to get. It’s always really sad to see a large sheep dog living in a tiny apartment in the city with no room to run. If you plan on traveling, are there people who would be willing to pet-sit? Traveling with a dog can be a hassle and requires more planning and more money. Most hotels, if they allow pets, require a deposit. Bringing a dog on an airplane is expensive and stressful for the dog. 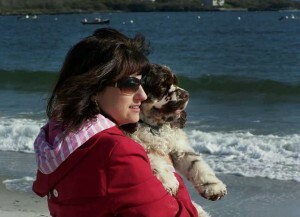 There are alternatives to bringing your dog with you when you travel. Ideally, you know someone who is willing to care for your dog while you are away, but if you can’t find anyone, there are pet service companies that charge a fee to house and care for your dog.